renowned Orthodox Jewish scholar Yair Davidiy in Jerusalem. which are available over on his website, www.britam.org. here for the second hour of the interview. Then left click on "Save file/target as" to save the audio file to a folder in your computer. The next time you synch to your iPod the mp3 audio will load up onto the iPod. ON THE LOST TEN TRIBES OF ISRAEL. Steven Collins is an American Christian researcher who has done extensive research and written a number of books on the Lost Ten Tribes. I was pleased to note that he has had some cordial correspondence with Yair Davidy in Jerusalem. Steven Collins has done a faithful work on the subject with scholarly diligence on the physical and historical evidence and Berean diligence in searching out the relevant prophetic Holy Scriptures. His website is HERE. by Christian interviewer Rick Wiles from trunews.com. The mp3 audio file is HERE. THE COMPROMISE OF ISRAEL UNDER KING SOLOMON AND THE ENSUING DEPARTURE OF THE GLORY LEADS TO ECONOMIC DECLINE. THIS LEADS ON TO A REBELLION AND ISRAEL IS DIVIDED INTO A NORTHERN KINGDOM AND A SOUTHERN KINGDOM. After the passing of King David and King Solomon King Rehoboam took the throne of Israel. Solomon had married hundreds of foreign wives who brought their idolatrous religion into Israel. The compromise with all these gods of the surrounding nations was now beginning to take its spiritual toll. The glory of Israel was departing. Israel was in serious decline. And as always happens to a kingdom when the glory is departing, the financial power went down with it. And so the royal tribe of Judah in the south was trying to compensate for this using the ways of this world. The national entity was exacting more and more taxes. And the servitude required from the ten northern tribes amounted to three months in the year. Jeroboam was a labor leader organizing all this support that was going up to Jerusalem from the other tribes. The point eventually came when this burden became quite onerous. And so it was that Jeroboam led the northern ten tribes of Israel before King Rehoboam in an appeal for some economic relief. They were asking for some grace, if you will. The meeting was a disastrous one, and for all Israel. Yes, the ten tribes were out looking for grace. But Rehoboam apparently did not have the wisdom of his father Solomon. After foolishly consulting with the testosterone driven younger men of Judah he took their advice. He responded to Jeroboam and the request by laying down the law in Machiavellian style. The king of the Jewish tribe of Judah had unwisely accepted the council of the young men instead of accepting the counsel of the elders. The result was quite predictable and sad. Any hope of retaining unity of all Israel under Judah was now lost. God's covenant people were divided asunder. They were split into the two kingdoms. Later on even in their dispersions these two companies would continue in their separation and in their feuding as the two houses of Israel we see today. The Northern Kingdom was scattered. And in a national amnesia, they forgot their Hebrew roots. Still being drawn together into their tribal and character groupings they disappeared into the mists of history to become one of history's great mysteries, the Lost Ten Tribes of Israel. And so the Lost Ten Tribes of Israel remain a mystery to this day. A huge swirl of disinformation and a host of little pipsqueak stories mixed with "noise" revolves around this subject of the lost tribes. Nevertheless faithful scholars and authors have discovered many big clues that have been overlooked or ignored. A large mass of evidence is out there for those who are interested in the truth. But these faithful investigators find that they are hard pressed from every side to get their story out there. This has certainly been the case with Yair Davidiy and Steven M. Collins, both of them foremost authorities on the subject. These faithful scholars are both living on a shoestring and quite clearly up against the powers of this world. BOTH of these faithful men, one from Judah and one from Ephraim, should be supported in their wonderful work. It is very strange that the Judeo-Christian people are not interested in this matter. An understanding of the origin of this great family feud would solve a lot of problems, curb Anti-Semitism, and bring peace to may issues. But as we have seen, unless people are interested in Israel's Messiah who is the Prince of Peace this discovery can not find a home in men's hearts. Quite clearly there is a very powerful spell being cast over this whole matter of the Lost Ten Tribes. Of course it could also mean that God Himself is holding back this revelation until a future time when men's hearts have received Messiah and they are ready for this information. Why might He be doing that? Perhaps because this information could be politicized by proud dominionists who would make hay out of it and twist it for their own purpose driven agenda to do great harm to the saints coming into the Kingdom of God. The unveiling of the identity of the ten tribes may be a truth that is waiting until a trustworthy new people, a single remnant Elect, an end-time Congregation and Commonwealth of people worthy of receiving this information and treating the information responsibly arrives on the stage of holy history. We know they will all come come again at the end. The Old Covenant prophets saw them re-emerge into holy history and come into complete and total restoration in the latter days. And so back in the tenth century B.C., perhaps around 922 B.C. Israel was divided into two kingdoms under two sovereigns. From that epic Breach of Jeroboam until the end of this age, Israel would be a kingdom divided, in two houses. One kingdom, the royal (Jewish) house of Judah is visible to the world and can still be seen. The people of the Southern Kingdom still have their Hebrew language, Hebrew geneology, Hebrew religion, and connection to their past in greater Israel. The other, the northern kingdom are hidden from view. They just disappeared into the fog. And how about the Lost Ten Tribes of Israel? Did they curse themselves? And if they did then will they find the grace they have sought? Will they to find redemption and restoration? Will lost Israel ever be found and re-unified into one Elect people? The Holy Scriptures are unequivocal and unanimous. THE LOST TEN TRIBES OF ISRAEL BEGIN THEIR SAGA BY CUTTING OFF THE ROYAL TRIBE OF JUDAH. THEY REBEL AGAINST THE THRONE OF DAVID, THE VERY THRONE FROM WHICH MESSIAH WILL RULE. THE TEN TRIBES GO INTO DEEPER IDOLATRY AND 200 YEARS LATER ARE CARRIED OFF INTO CAPTIVITY . THEY DISAPPEAR INTO HISTORY; THEY ARE LOST. . . OR ARE THEY? This rejection of David, (and rejection of the coming Son of David), had been seen before. The same bitter words had been uttered two generations before. On that occasion the words of rejection and cursing came by the rebel Sheba. He was a man whom the scriptures refer to as a "man of Belial", (a man of Satan). He came against King David with bitter words of renunciation. If we look carefully at the words uttered against the Throne of David back then we can discern that these were words of Anti-Semitism, although the word anti-Semitism is an overly broad misleading racial word that "cloaks" what is really going on with Ant-Semitism. (2Samuel 20:1) Anti=Semitism is a deep hatred of the Jewish tribe wherein is found the Throne of David. But now the very same words of rejection of the royal Jewish tribe of Judah were being heard again. Again the denunciation was not coming from the pagan outsiders but from within Israel! These bitter words were coming from the ten northern tribes. This great divorce, the epic split-up of Israel, is recorded for us in the verses below. "Now when all Israel saw that the king did not listen to them, the people answered the king, saying: 'What share have we in David? This was the great divorce of Israel, the awful 'breach of Jeroboam'. King Solomon had died. The year was 922 B.C. And Israel was now divided into two houses. This is a situation which continues to this day. So after the Breach of Jeroboam Judah and Benjamin centered around the Holy City of Jerusalem in the south. And under Jeroboam the ten northern tribes seceded from the Union of Israel and proceeded to do their own thing. This was an awful wrenching separation. And it is a division which exists to this day. The lost ten tribes of Israel are out there in the nations. The loss of their national identity has resulted in a schism. Ephraim, representing the lost ten tribes, is jealous. These people envy the house of Judah because they believe the Jews have something that they can't have. In their predominantly unredeemed state they think that they can never belong to Israel. But they are wrong. See Ephesians 2:11,12,&13. And see this article. And Judah, ever the champion in matters of the law and matters of legality vexes Ephraim. They too, for the most part, do not know the indwelling Messiah who brings in with Him His righteous Law and his Grace. They think that if these people would just simply "do the right thing" that everything would be OK. This jealousy and envy by Ephraim and this vexation by Judah lies at the heart of the feuding. It is something from which the two houses of Israel have yet to recover. The prophet Isaiah said that they would. and Judah shall not vex Ephraim. THE BREACH OF JEROBOAM SAW ISRAEL SPLIT INTO TWO SEPARATE KINGDOMS. THE ROYAL HOUSE OF JUDAH WAS CENTERED IN JERUSALEM IN THE SOUTH. THE TEN NORTHERN TRIBES IN THE NORTH WERE CUT OFF FROM JERUSALEM. As we trace the history of Israel we see that after the split under Jeroboam the northern ten tribes were now cut off from entering the Southern Kingdom. The venue for the worship of Yehoveh-God, of course, had always been in Jerusalem. In the former times all the 12 tribes went up to Jerusalem to celebrate three times a year. After the Breach of Jeroboam the people in the Northern Kingdom were cut off from access to Jerusalem. So there was a problem. Because there at the Holy Place the faith of Israel was being lifted up in the feasts and the ordinances of Yehoveh-God. The worship of Israel administered by the Levitical priesthood was centered in Jerusalem. And now Jerusalem was across a border in another country that was unfriendly. Notwithstanding all this the people still wanted to go up to Jerusalem to celebrate the feasts, especially the Passover. But the door to their worship was barred. They were locked out by new political reality. But they still wanted to go. They needed to go. They begged to go! Jeroboam would have none of this. He handed them a substitute worship involving two calves. One was up in Dan and the other down in Beersheba. So Jeroboam was doing the politically savvy thing. He provided a substitute religion, a "controlled opposition front" against the true faith of Yehoveh-God. He chose a special idol that the people had shown an interest in back in Egypt and also with Aaron at the foot of mount Sinai. He set up two bullcalf idols for the people to worship at each end of the Northern Kingdom. This was a smooth move. The two Kingdoms were in a blood feud. And they did wage war on each other occasionally. Jeroboam did this so that the Israelites in the Northern Kingdom would not be continually pestering him for permission to go up to the feasts at Jerusalem. He did not want his people going over into the territory of their estranged brethren in the Kingdom of Judah. So when the ten tribes rebelled they not only cut themselves off from the throne of David but also cut themselves off from the religious ordinances of Israel which were in Jerusalem. The result was quite predictable. They became spiritually impoverished. They departed from the true worship of YHVH-God and off into deeper and deeper idolatry. This would have awful consequences for the lost ten tribes. 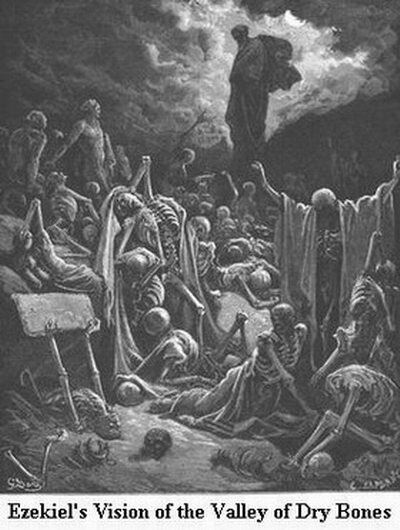 The prophets warned them time and time again that they were on the wrong path. The Northern Kingdom would be the first of the two kingdoms to go off into captivity. The Assyrians eventually came, at first collecting tribute money. Then they carried off the tribes that were across the Jordan. Finally, in 722 B.C. the lost house of Israel, as the Bible calls them, were taken off as captives by the cruel Assyrians. There they were, a sad company of people taken from their homes. Long lines of weeping people with fish hooks through their lips and other parts of their body were being led off into captivity. Are we seeing dim remnants of this awful national memory with the current rage for piercings and the rings of servitude Western young people are putting through their lips and other parts bodies? The ongoing saga would see the lost tribes scattered into the heathen nations. There they would be lost to view. And so like Gomer with Hosea, the ten tribes were drawn away from their true Husband. YHVH, the God of Jacob would be replaced with other lesser gods. Lost Israel wandered off into gross idolatry. The love they had for YHVH-God, the Holy One of Israel, faded away. And as they wandered further and further from home they became spiritually lost. So as we see, it was not long after the people of the Northern Kingdom became spiritually lost that they became politically lost as well. The Assyrians came, carried them off, and they lost their sovereignty under Israel as a people. The Assyrians scattered them and intermingled them with the other nations. So these people of the ten lost tribes were carried off. They were taken far away from their land, from the Holy City, and from the main channels of their faith and worship. Eventually they lost their Hebrew language and their Hebrew roots faded away in the mists. Eventually the House of Israel lost the memory of their homeland altogether. In their subsequent histories they became people groups we know as Parthians and Scythians and Cimmerians to name just a few. Some were even up north of the Caucasus mountains in the steppes, the vast grasslands that run from where the forests of Europe end in Transylvania right across the regions north of the Himalayas and on to Mongolia in the east. Lost Israel was right in there with the Cimmerians holding their own amongst the barbarian horsemen of the steppes. They were as pagan as "Conan the Barbarian". THE LOST TEN TRIBES OF ISRAEL WERE LOST AND SCATTERED. BUT THE SOUTHERN KINGDOM WAS NOT. IT STAYED TOGETHER. JUDAH RETURNED TO THE LAND UNDER ZERUBBABEL, EZRA, AND NEHEMIAH. RE-ESTABLISHED SOVEREIGN PRESENCE IN THE LAND OF ISRAEL. The ten tribes in the Northern Kingdom were scattered. They were lost from view. Their brethren in the House of Judah were taken captive 130 odd years later. But they were not scattered by their captors. And as we can see quite clearly from the Biblical record, Judah was not treated like the ten tribes had been treated. The people of the House of Judah were never scattered. This is a very important difference. Here is some additional historical information that sheds some further light on this. The Babylonians under Nebuchadnezzar were not like the Assyrians. The Assyrians were basic earthy people, a kingdom of brutes. These people were notorious. They would skin people alive. So the Babylonians found it expedient to keep the Jewish company of people from the Southern Kingdom together in their conclaves and close by to city life. The Babylonians discovered that these people were gifted and could be very useful to them as they set up their intricate and wonderful realm. These people were of the royal house of Israel. They were full of good ideas to make things better. Their prophet Daniel was high up in the courts of the realm. He had been tested and came through his trials as gold. He was promoted to great authority in Babylon. He was loved and respected by King Nebuchadnezzar. When any big issues arose the king sent for Daniel. He was totally committed to His God and from what Nebuchadnezzar had seen with Daniel and men like Shadrach, Meshach and Abedneggo, who were preserved from being consumed in a fiery furnace, this Yehoveh-God of Israel appeared to be above all the other gods and ready to intervene in matters of real importance. Daniel was a man who could be trusted to give a king the truth on any given matter, come what may. And Nebuchadnezzar was noble enough to ask for someone like that who would tell him the truth. So the Jewish company of the House of Judah prospered in captivity. 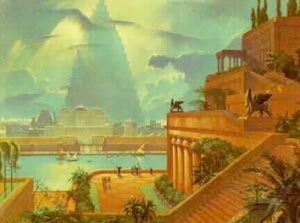 Did they provide the "human resources" that made Babylon great? Was this why Nebuchadnezzar came and took the cream of the crop, the young princes and rulers of Judah in that first invasion in 605 B.C.? If this is so then there is more to the story than just the gathering of smart industrious people and the nurturing by a management entity of something we call "human resources". Biblical Christians understand that at the root of excellent "human resources", (so-called), lies a Spiritual Resource in 'The God Who Is There'. HE is the One who hones character to develop people of honor and integrity. HE is the One who blesses people in their lives and nations in their histories. For a good example of this from 18th Century history see this article comparing the French Revolution and the American Revolution. There was another factor binding the House of Judah and preventing them from being scattered as their northern neighbors had been. The Rabbinical Priesthood was there with them. The Levitical Priesthood in exile were now without the Temple. But in the synagogues that date back to that time they maintained the memory of the Law and precepts of Israel. And while they did not promote a personal walk with Yehoveh-God they did major on the Law. Untold millions of questions were asked about the intricacies of the Law. And they attempted to answer all of them. The rabbinical priesthood and the scribes date from that time. They built up a vast compendium of Torah commentary called the Mishnah and the Talmud. The rabbinical priesthood played a major role in preserving the written Word of God in the Old Covenant and in the yeshivas they taught their children the Hebrew language and the Torah. So unlike their brethren up in the northern ten tribes the House of Judah never lost their national identity. There in their place of exile the Jewish company, (which included the royal tribe of Judah, Benjamin, elements of the tribe of Levi and others), knew who they were and where they came from. And thanks to the Prophet Jeremiah they knew why they were in captivity. Some of them must have known what the scribes had written down of Jeremiah's prophecy in Jeremiah 25:11,&12, and Jeremiah 29:10. So they would have known known just how long their exile would last. We know that the prophet Daniel read the prophecy and knew that it would be seventy years. See Daniel 9:2. The Southern Kingdom of Judah went into captivity in 586 B.C.. The prophet Jeremiah had said that they should not fight the Babylonians but they were to go quietly into captivity in Babylon. He said that God would take care of them there in their exile and they would prosper in the land of their captivity. And after seventy years, (the number of years in 490 years in which they had failed to keep the Sabbatical Year, they would be allowed to go home again. This was a word of instruction from God. And it was a word of comfort. But as the armies of Nebuchadnezzar closed in Israel's patriots in the back country, hard bitten types intent on fighting for their freedom and "for God and country" were incensed at this message Jeremiah was bringing. This was beyond the pale, over the top. As they saw it this was treasonous talk. They took the prophet Jeremiah and threw him in the pit. The seventy years of Judah's captivity passed. And the Persian King Cyrus issued his general amnesty allowing all captured peoples to return to their homeland. The House of Judah began the first of three great migrations under Zerubbabel. Later great migrations came under Ezra in 457 B.C. and Nehemiah in 445 B.C.. They people of the Southern Kingdom were gong back home to the Land of Israel. More specifically, they were going back to Jerusalem. But the people of the lost ten tribes were still up there in Mesopotamia. And from there they began a remarkable series of histories which took them even further afield. They gathered and sojourned together. Their histories took them on both sides of the Caucasus mountains and at places around the Caspian and westwards around the Black seas and on into the geographical areas we recognize as Europe and the Islands to the west. They waged wars and went off on epic migrations that took them across rivers and mountains to many strange lands. This information is all well documented in the books written on this extraordinary subject by Yair Davidiy and Steven M. Collins. Yair's books can be purchased from his website, www.britam.org. The video interview with Yair Davidiy mentioned and linked at the head of this article is split up into segments and uploaded to make several YouTube videos. These YouTube videos are at THIS LINK. Steven M. Collins is the other scholar, researcher, and writer of note. He has written a fascinating book on the Parthian Empire. This is also available on Amazon. Click HERE. The wise men who came to see the Christ Child provide a fascinating new perspective on the lost ten tribes. They were far more numerous than the traditional three wise men and not as generic as we suppose. They were princes from the Parthian Empire, people of the lost tribes. They had access to Daniel's prophecy, in particular Daniel 9:24,25,26,&27. Unlike our churchmen and our rabbis today they were interested in Bible prophecy and had done their homework on Daniel's prophecy of the 70 weeks. And with an appreciation of the lunar month being 29.53 days derived from the Metonic Cycles of 19 years being very close to being equal to 12 x 19 = 228 plus the seven extra months of Adar2 = 235 lunar months they knew the numbers to crunch with their abacuses. The wise men knew Nehemiah chapter 2 and the significance of the edict of Artaxerxes. They knew that the year that Nehemiah went to the king, the 20th year of Artaxerxes was 445 B.C. and that Nehemiah's mention of the month of Nisan was the starting point for the Seventy Sevens of years. So they were able to work from there and lay out the 7 sevens and 62 sevens and begin to get somewhere. So they knew within an error margin of three days when the Messiah was to make His appearance. Then they took to wondering when he would be born. They must have prayed and asked or expected a sign. God honored their faithfulness. They got their sign. And the star took them to the Christ Child. Did Jesus and His Good News of the Kingdom succeed in going to the lost House of Israel. 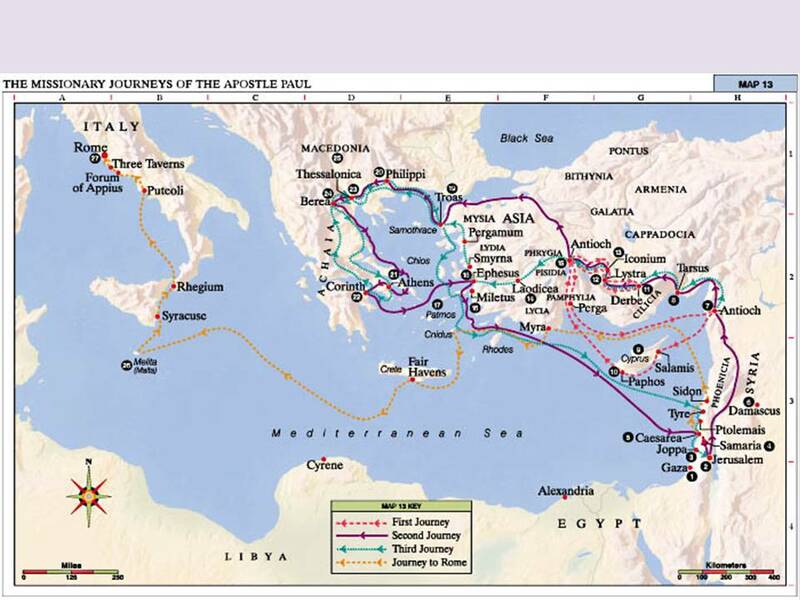 Where did the Holy Spirit send the Apostle Paul on his missionary journeys? In what direction and compass bearing did he go from Jerusalem central? To find out see THIS MAP. So unlike the House of Judah the northern tribes never came back to the Holy Land again except for those small numbers of people who returned and joined themselves to Judah. Some might dispute this. Some might say they did come back in a significant way. They came back out of Western Christendom. They came back from Europe honorably as pilgrims to the Holy Land to worship and remember One who came out of the House of Judah to be Savior to the world. And sadly, after preaching by Pope Urban they also came back dishonorably with the sword of Christian Dominion Theology which threw up those shameful bloody Crusades. So let us pause here to recap. Israel was divided at the Breach of Jeroboam. Then it existed as two kingdoms under two kings under a separate sovereignty. Each of those two kingdoms went into captivity separately. And here is the bottom line. Here below is a map showing the routes of dispersion of the ten tribes in the Assyrian captivity. The two red arrows indicate the routes taken by the lost ten tribes in the two gatherings of exiles, by the Assyrians in 734 B.C. and 722 B.C..
130 years after the Northern Kingdom was taken off by Assyria their brethren in the Southern Kingdom suffered a similar fate. The green arrow shows the route of the Jewish House of Judah in the Babylonian exile when beginning in 605 B.C. and finally in 586 B.C. they too were taken captive. But in their exile into Babylonia they were taken to one general area and were not scattered. And later, after the general amnesty and with the blessings of the Persian King Cyrus in 538 B.C. the aliyahs, migrations back to the Holy Land, began. The Temple was rebuilt in the years 520-516 B.C. but the walls and gates were still in ruins. The following century saw the Ezra revival in 457 B.C.. 13 years later the kings cup-bearer Nehemiah risked his life and asked the Medo-Persian king for official authority to restore Jerusalem, its walls and gates, to allow it to become a self-governing city-state. All of these events saw epic migrations of the Jewish House of Judah back to the Land. It is exceedingly important that we do our homework and discover that the lost ten tribes did not return in numbers sufficient to re-establish any sovereign presence in their old homeland. Yes, a few did dribble back but most of them went under Judah and came to be known as Jews. There were no grand Alijahs from the Assyrian dispersions. The Holy Scriptures do not tell of any significant or noteworthy returns of the Northern Kingdom at all. There were no big migrations back to Israel as we saw with the Jewish House of Judah. And as we read in the Gospels the people that were in Samaria at that time were not under Judah and not considered Jews. At the time of Jesus the inhabitants of the land to the north in their cities were the despised "Samaritans", people of mixed race. So here are the facts we can be sure are true and correct. The Holy Scriptures tell us that both houses of Israel went into abominable idolatry. And as a result of this they lost their sovereignty. 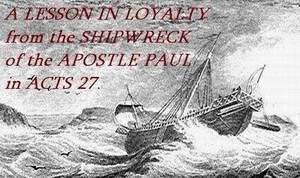 Both companies of God's covenant people went into captivity. The northern kingdom was led off by the Assyrians in 722 B.C.. The southern kingdom lost their sovereignty to the Babylonians and went into exile in 586 B.C..
Only the southern kingdom returned to the land in significant numbers and in their tribal group. Only the Jewish tribe of Judah, with Benjamin and many of the Levites with them, were able to re-establish sovereign presence in the land. And this sovereignty, procured by Nehemiah. was just a mandate from the Medo=Persian superpower allowing the re-establishment of sovereignty of Jerusalem as a mere city-state. It was never again the great nation, even regional superpower that Israel it was in the former times under King David and King Solomon. So the lost ten tribes were scattered and intermingled with the other nations. This was Assyrian policy. Did they ever regather again in their tribal groupings? There is good evidence that they did. But we must remember this. The prophet Hosea, prophet to the northern kingdom, had declared that because of their gross idolatry these people were "Lo-ammi", "not my people". The prophet Jeremiah said that Yehoveh-God had given backsliding Israel a certificate of divorce. So the lost ten tribes lost their identity in Israel. They never returned to the land of Israel in numbers sufficient to establish any sovereign national presence there as the House of Judah did. The Lost Ten Tribes of Israel are still out there somewhere, - . . . They are lost, - . . in the fog. NATION OF TWELVE TRIBES A GLORIOUS RESTORATION AT THE CLOSE OF THIS AGE. So where are the lost ten tribes now? Are they scattered, lost, gone forever, as we have been led to believe? Or is there a blockbuster story here that is to be revealed in times to come? The whereabouts of this group of nations is one of the great mysteries of history. But many in the Jewish House of Judah along with many in lost Israel have their reasons for not wanting to find out what happened here and not seeking the restoration. They have a vested interest in the religious status quo. Regrettably many are heavily devoted to their own religious tradition and to the support systems of this world. And in spite of rough treatment by the western political powers the Church and Jewish communities have nearly always ingratiated themselves to the dubious graces of the princes of Europe and to the dark angelic powers behind them that pull their strings. They think that this policy will always ensure security for themselves and their communities. But repeatedly they are proven wrong. Their faith in the powers of this world is misplaced. History shows this time and time again. But even as the nations rage they still want to forget the coming of their Messiah. Individually they do not receive Him into their hearts. And collectively they do not want to hear of His Second Coming. They do not want to hear of Messiah's coming to rule in this world. But they have no other choice. He remains their only hope. The Holy Scriptures have good news to declare. And the beauty and truth of Israel's Old Testament prophetic poetry rejoices in this truth. Israel will be restored, totally and gloriously. The lost ten tribes of Israel will surely be found, even as the prophet Hosea found his wayward wife lost Gomer. As we search the scriptures and do out homework all these mysteries will surely unfold in a wave of splendor never seen before. European origins can be traced back to Israel. And Israel's Messiah, the Seed of Abraham, gives Christians their second passport. Because the Apostle Paul declares that in Christ, who is the indwelling Seed of Abraham, true born-again Christians come into the Commonwealth of Israel. All this will become common knowledge one day. The truth of remnant Israel and the remnant Church being refined together into one royal priesthood and a holy nation is a hard truth to receive. But this knowledge will unfold collectively in Western Christendom in the crucible of the latter days. And YHVH-God, the Holy One of Israel will reveal it to His covenant people at the proper time. "It is the glory of God to conceal a thing. But the honour of kings to to search out a matter." We serve a God who hides things. And He keeps them hidden until the right time has come. Then He brings forth His mysteries as wonders or in Hebrew "surprises". Remember how Moses was hidden in the waters among the bulrushes. He was preserved, and nurtured in secrecy, even as a 'Notzrim', preserved for safe keeping until the proper time. Moses was trained up in the courts of the Egyptian superpower. But until he grew up he was kept in the dark about his true origins and his divine purpose. All this hidden information was revealed later, in its time. The cloaking of Biblical truth by the powers is allowed by God. It is His permissive will. Smoke screening the truth is "business as usual" down here in this fallen world. That is the way of the dark principalities and powers, the angelic rulers who preside over the systems of this world from their lower perch in the second heaven. Disinformation is also the way of the political princes and merchants of this world. They think they have a handle on things as they try to seize the glory for themselves. They think that they are the sovereign ones as they muscle in and organize things their way. But there is a God who rules from the heavens. The Ancient of Days sits and presides over the unfolding of Holy History. See Daniel 7:9,13,&22. But the princes of this world have their own humanistic agenda to push. They grasp the sword as they seek to hold on to the power over the people. The religious powers go along with this. The mystery of the ten lost tribes who went looking for grace are a forgotten story. The principalities and powers want to keep it that way. The final seven years of this age will not be the picture of total doom and disaster Evangelical teachers have painted. Oh yes, there will be trouble, trouble primarily of our own making. Our neglect in the devotion and our compromises and dalliances in this world will be the root cause of all our tribulations. But the prophet Micah had some good news to report. He declared that all of Jacob will be gathered as the sheep of Bozrah. The God of Israel will be among His people in a great revival. And by His Spirit YHVH-God, the Holy One of Israel, will be calling all His people out into a new ekklesia, just as He has done so many times before. Lost Israel, and all their companions, will be found. And even coming home by a difficult passage through a strait and narrow gate, "a remnant shall return". 2. His Holy People, the global Congregation of Israel, (or church). It will be a time of high drama between God and His people. It will be the culmination of the divine romance of the ages. even in the dark hours after midnight. THE LOST TEN TRIBES VS. THE ROYAL HOUSE OF JUDAH. AND THE PIVOTAL ISSUE OF LAW VS. GRACE. AND RESTORATION OF ALL ISRAEL AT THE END OF THE AGE. Idolatry was Israel's downfall in the former times. The lost ten tribes had entered into gross idolatry even before the reign of Solomon. But Israel's riches led her into compromise and away from the God who had mad the nation great. And so there were consequences. After the death of Solomon the nation was split by a terrible feud. The Kingdom was divided, precisely as prophesied, at a bitter event known as the Breach of Jeroboam. There was more to the event than just the inter-tribal politics and a failed appeal by the ten tribes to the royal Jewish House of Judah for some GRACE and for some degree of taxation relief. And it was more than just anger about the Judah's response in laying down the LAW. 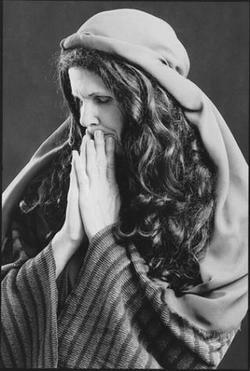 At its deepest level the dispute involved a fundamental dispute over the deeper and broader spiritual issues of "Law and Grace" in the redemption of lost mankind. So the fracture line that occurred at the Breach of Jeroboam was quite predictable. It went right on down Israel's deep doctrinal divide that runs between God's Law and His Grace. And when the Breach of Jeroboam occurred that was where the cleavage line went. On that awful day the Union of Israel was torn asunder. And the Beauty of Israel was cast aside. The blood feud between the two houses began that very instant. And that is where we still remain to this very day. Which is more important? God's Righteousness, His Precepts, His Law? Or His Mercy and salvation? As we might expect, the royal tribe of Judah championed God's Law and Righteousness. The lost ten tribes, precisely as we see in the matter of an appeal by Jeroboam for tax relief were looking for Mercy and Grace. But are we to suppose that the God of Israel is split in His loyalties? Is He schizophrenic and split minded like we seem to be in our religious factions? Of course not! As we see Him in Holy Scripture does not the God of Israel embrace both Law and Grace? These two feuding factions at cross purposes with each other over two Godly truths split into a Northern Kingdom, (the ten tribes), and a Southern Kingdom, the royal Jewish House of Judah with Benjamin and a large contingent of the Levites. During the next 200 years the ten tribes went into deeper idolatry. During the 8th century B.C. 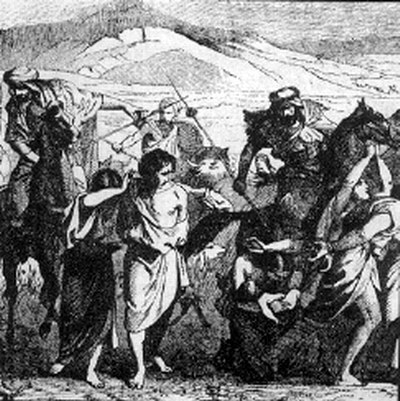 the Assyrians in two invasions lead much of the northern 10 tribes of Israel off into captivity, scattering many away from their homeland in the process. The Israelites taken captive were deliberately intermingled among the other nations. Steven Collins has presented good evidence that as much as two-thirds of the northern Kingdom had seen the writing on the wall. When the Assyrian armies arrived they found that these people had already left their homeland. The Assyrians made their final assault on those who remained and carried them off into captivity. There policy was to scatter the people of the ten tribes and mix them with the other nations. Under the reign of Rehoboam the glory Israel had enjoyed under Solomon was rapidly departing. And when the glory departed so too did the wealth, the power, and finally the unity and integrity of the kingdom. The northern ten tribes, under this economic decline and under growing economic strain went to Judah. They went to King Rehoboam, their king who, we must remember, sat upon the throne of David in the royal Jewish House of Judah. The northern ten tribes took their appeal to Judah looking for Grace in the matter of tax relief. When Judah's King Rehoboam laid down the Law in a very harsh way the northern ten tribes had had enough. They walked out. They rebelled. But that was not the worst of it. At this big divorce of Israel the lost ten tribes cursed themselves blind. They rejected and renounced their own sovereignty which was centered in the throne of David inside the royal House of Judah in Israel. This was an awful thing to do. It was like Gomer walking out on Hosea. The lost ten tribes had just walked out on their sovereign. The consequences for them were probably not realized at the time. But they were devastating. The ten northern tribes lost their sovereignty in the nation of Israel! They had thrown it away! So even though they tended to stay together in their families, and fight and migrate together like birds of a feather they were to lose their identity in Israel. The Northern Kingdom thus parted company with Judah. And because of the loss of that sovereignty in glorious Israel a deadly jealousy of of the Jewish House of Judah kicked up a bitter blood feud which continues to this very day. What happened to these lost ten tribes of Israel afterward? They regrouped in various geographic areas, prospered, fought wars, engaged in epic migrations, embarked on Phoenician vessels to establish colonies across the Mediterranean Sea at Carthage, Tarshish (Spain), and places beyond. The general trend through their histories was westward and north of the Mediterranean Sea into the geographical area of what we would now call Western Europe. This hidden history concerning the origin of the nations of Europe and the lost ten tribes of Israel is a suppressed national memory. This national amnesia concerning the true identities of the lost ten tribes in their wanderings persists in both the lost ten tribes and also over in the Jewish House of Judah. Judah is the faction who can trace their roots. The Jewish house know that they belong to Israel. The other party, in amnesia, and not a little bit jealous of the other house does not remember. But as we have seen in our histories, they would certainly like to be part of Israel! The feud will be resolved eventually. This great wonder will all unfold in the latter days. The lost tribes are envious of Judah and what Judah has in Israel. This jealousy is very real. And the hurt, the sense of loss over something that has been suppressed from memory goes very deep. But the God of Israel has all this in hand. And He will see the whole sorry matter brought to a glorious and magnificent conclusion at the end of the story. See And so as we see, we in our own history are a part of an unfolding mystery involving a great family of people, even the family of Abraham. They are on a journey that began back in the city of Ur. Yes, they are on their way back home again. The truth of this divorce and the pain of what happened back then is forgotten. It is lodged deep down in our Western collective memory. This loss of connection to Israel by people who once did indeed belong has given rise to much jealousy in Christendom. This in turn has caused the blood feuding. This deadly jealousy and the raging against the Jewish House of Judah explains the bloody carnal crusading we have seen and the so-called Anti-Semitism we still see in Western Christendom. It explains the Inquisitions, the forced conversions, the Pogroms, the Holocaust, and the sad litany of a host of other angry national outbursts would fill volumes. In fact the the root cause of anti-Semitism is a very deep and dark Luciferian rebellion. It is a raging against the throne of David. See King David's song about this in Psalm 2. Down through their sad histories Jews and Christians cry out to God and ask "Why Lord?" and "How long will you forget, O Lord?" See this music video by Michael Card. This terrible saga of yesteryear and what really happened to the nation of Israel back then at the Breach of Jeroboam is a blockbuster story. But very few in either of the two feuding houses dare to speak about this or discuss it in their Yeshivas or Sunday School classes.. And the manner in which Messiah intends to fix it at the climax of this age also unknown. Or if it is known it remains a taboo subject under the hierarchical religious moderators that rule over the religious conversations in our world as it is today. And since the hurt is so deep no one wants to offend the other. The awesome truth here and how Messiah alone can bring His Peace and shalom to this argument over Law and Grace is a major key to the unlocking of the End-Time mysteries. It also greatly aids us in our understanding of the End-Time drama. Unfortunately, at this present time neither the Western Church in Christendom or the Rabbinical priesthood in Judaism wants to even remotely talk about this old family feud. It is far too touchy a subject for them to broach. Neither party wants to take any responsibility for resolving the matter. As usual, the powers of the status quo jealously guard their hold over the people. They have a vested interest in keeping things precisely as they are. And they probably will. . . . . .
. . . . . . . Until the latter days. TARGET #1 FOR THE FORCES OF DARKNESS: THE THRONE OF DAVID. We have abundant Biblical poetic and prophetic evidence to show that God will heal the breach of Jeroboam. YHVH-God will find and restore the lost ten tribes of Israel even as Hosea found and restored lost Gomer. He will regather and restore both houses of Israel as a single Elect, a royal priesthood and a holy nation. (1Pet.2:9) Israel will be a complete nation once again. All 12 tribes will be rejoined and restored in the latter days of this age as the promised restored full Commonwealth of Israel. LOST ISRAEL, IS NOW IN THE WEST. THE GOSPEL HAS BEEN PRESENTED. BUT SHE STILL EMBRACES HER PAGAN WAYS. SO SHE STILL SUFFERS FROM AMNESIA. AS A NATION SHE HAS YET TO FULLY REPENT AND TO FIND REDEMPTION AND RESTORATION. LOST ISRAEL IS PROPHETICALLY FORESHADOWED AS GOMER. WITH THE GIFT OF DISCERNING OF SPIRITS WE CAN SEE THAT GOMER IS SHOWCASED PROMINENTLY IN THE LITERATURE, THE MUSIC, AND THE THEATER OF WESTERN CHRISTENDOM. As usual the artists are the first to see and feel a truth. They bring it out of the subconscious and into their art. Most of the time they've no idea what they are really doing. They cannot fathom in the depths the truths their art is expressing. Even a people who've lost touch with their God. And in the shadows of the artist's work. A wanton woman leaves her true husband. In forgetting the One to whom belongs she suffers from amnesia. And in forgetting her true roots she loses her true identity. This is the story of Gomer. It has been an ongoing saga in the history of Western culture. LOST ISRAEL CROSSED THE CAUCASUS MOUNTAINS. THEY WENT UP INTO THE STEPPES, THE VAST GRASSLANDS, OF RUSSIA. THERE THEY WOULD COME TO BE IDENTIFIED WITH THE CIMMERIANS AND THE KHAZARS. We actually have some unrecognized ancient memories of these early wanderings of the lost tribes of Israel. After the Assyrian captivity portions of the Northern Kingdom went or were pushed northward. They crossed the Caucasus Mountains to go up into the steppes, the vast grasslands, of Russia. It seems that our culture still retains a significant body of evidence of these scatterings and the subsequent migrations and the various encampments lost Israel made along the way. These are legends we once thought were merely pagan and of no significancefor us in Western Christendom. But the evidence is now strong that Lost Israel was prdominantly a pagan party as they wandered west. 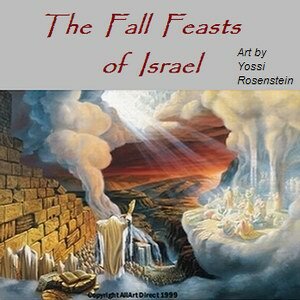 They were disconnected from their God, no longer celebrating the Feasts of Israel. They were no longer seeing the Holy City or being ministered to by the Levitical priesthood. They no longer remembered their Hebrew roots. The pagan female deity worship of Ashteroth, an old friend and a pagan idol from the past, was still dominant among them. The mother-child cult was still among them. We still saw it in the so called "Christian Era" in the Dark Ages and the Middle Ages. In fact it is still with us today. We are now learning that a significant number of these legends stowed away inside our culture have come down to us from the idolatry that was seen in ancient Israel. A lot of paganism in the West are the half-forgotten memories of a wayward 'Lost Israel". These story-lines lie buried in our Celtic past and in the pagan subculture we have in the West today. They are still retained in our western literature and many of these themes can be clearly seen in our Celtic/New Age music and videos. By way of example here is A MUSICAL VIDEO by Loreena McKennitt from youtube.com on this theme. It is called NIGHT RIDE ACROSS THE CAUCASUS. Idolatrous Israel then, (and as some of the West is now), was steeped in gnostic paganism. God was "up there" in His heaven, and not down here in this evil place with men and women of clay. Israel as a nation, never has yet really come to know her true Beloved in any personal sort of a way. But this will surely happen, in times to come. During the Dark Ages in the West we had the Arthurian legends with the damsels in distress and the knights in shining armor carrying the big lances and big swords. In them we see the history of Gomer coming out in the storyline all over again. Israel had her false gods, and Gomer had her lovers. And so we see the Lady of Shalott with her Sir Lancelot. We see Isolde with her Tristan. It is the same story, the same lost woman disconnected from her home, family, and perhaps husband or father and suffering from amnesia. Gomer in the Dark Ages is now smitten by the sight or the imagination of her lover. So she ends up pale and near death, but still using her final strength to find a boat and in drifting down the river to find her worldly prince of Camelot/Babylon her very life is fading from her. Gomers misadventures as we see her in the literature of our culture are legion. She needs security, and the bigger and badder the brute she finds, the better. Her insecurity comes from her alienation from her God. And so in her lust for power and control over others she enters into increasingly dangerous trysts with her lovers. She takes these terrible risks for reasons of security. But her situation gets worse and worse. As time goes on the consorts she ends up in bed with become more and more beastly. The stories of Beauty and the Beast all end up in a terrible dark Grimm tragedy. Of course when these Grimm stories go over to America they are Disneyized. They are made marketable and supposedly made "OK" for the little girls. And when the idol dolls go out to the department stores Ashteroth is not recognized. And Barbie does her thing, always getting her way, - or so the legend goes. But the original pagan stories coming down to us out of the Old World in Europe and in the old fairy tale books are quite different. They are tragic beyond all telling. In the case of Isolde she is spurned and dies of a broken heart. We see her body being ferried down the river. In the case of the Lady of Shalott we also see her drifting down the river, - to Camelot/Babylon. Pale in death she sings her last mournful song. Why all this tragedy? And why are the nations raging more and wars becoming more and more destructive? What is the root cause, the essential rebellion going on that is causing us all this grief? There is an answer, and an explanation for the great dangers we are now facing. The story here is one of a gross and continuing idolatry. See THIS MUSICAL VIDEO by Loreena McKennitt. The video is called THE MISTS OF AVALON. THE LOST TEN TRIBES OF ISRAEL DRIFTED WEST. THERE IN WESTERN CHRISTENDOM THEY ARE STILL LOST. THEIR SELFISM AND THEIR PAGANISM CAUSE AMNESIA. THEIR IDOLATRY AND WITCHCRAFT STILL BIND THEM. THEY DO NOT REMEMBER THEIR GOD OR WHO THEY ARE. BUT THERE IS GOOD NEWS AT THE END. AND A MAGNIFICENT REDEMPTION AND RESTORATION. Here we see the spiritual and moral misbehavior of the lost ten tribes of Israel. We see the worship of the female deity Gaiea. Ashteroth was the goddess worshiped in Egypt, Assyria, and in Babylon. It was because of this evil practice that YHVH-God allowed the enemies to come. Both houses of Israel were conquered and taken off into captivity. The Jewish house in the Southern Kingdom of Israel learned their lesson. And the royal house of Judah never returned to idolatry. But in the westward migrations of a group of people who came to be called, (by others), the Celts we still see the pagan worship of female deities. In fact we still see it today, somewhat cloaked and underground to be sure. But nevertheless it is still present in our culture as the dominant feminism which is entrenched, particularly in the politics of the left. So what became of the Northern Kingdom? Whatever happened to the lost ten tribes? Are they with us as prominent nations in the West today? And if so, when will they be recognized and restored? Shall we see all 12 tribes of the nation of Israel re-emerge as a single sovereign nation again? Shall we see the "royal priesthood and the holy nation" of which Moses and our Apostle Peter both spoke? See Exodus 19:6 & 1Pet. 2:9. THESE VIDEOS and the Yair Davidiy interviews may help provide some answers. THE LOST TEN TRIBES OF THE HOUSE OF ISRAEL REMAIN LOST. CAME THROUGH THE OLD COVENANT THEY MADE AT SINAI. BUT CAN GOD REDEEM AND RESTORE THEM ANOTHER WAY? LIKE PERHAPS THROUGH THE NEW COVENANT? ? ? The awful prophetic judgment upon the northern kingdom in Hosea's prophecy were represented by the names of the children of Hosea and Gomer. These names were "No mercy" and "Not my people". So under the Old Covenant the Northern tribes suffered total and complete national disinheritance. They were scattered into the nations. They would not return to the land in sovereign numbers as Judah did. YHVH-God had written the Northern Kingdom, the Ten Tribes of Israel, a bill of divorce. Just like wayward and lost Gomer they had been cut off from the covenant they had made as a nation before Yehoveh-God back at Mount Sinai. But is all lost? 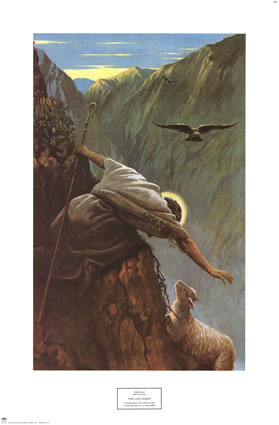 Jesus declared that He was going to the lost sheep of the House of Israel. 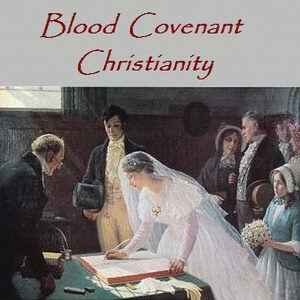 Remember that the Old Covenant was a national covenant. YHVH, the God of Abraham, Isaac, and Jacob had covenanted with the children of Israel. He was the One who made covenant with the nation of Israel. So Israel was established as a nation on the Day of Pentecost back at Mount Sinai. And so the question is asked. If the lost tribes of Israel were to be found then how are they to be redeemed and restored? Clearly there is no hope in going back to Sinai and pledging obedience once again. They blew their chance totally under the Old Covenant. But can it be that God's plan was having lost the ten tribes in the Old Covenant He would pick them up again in the New Covenant? We see some wonderful glimmers of hope of this when the prophet Jeremiah speaks of the New Covenant in Jeremiah 31:31,32,&33. LOST ISRAEL IN THE VALLEY OF DRY BONES. OF THE HOUSE OF ISRAEL". So the lost 10 tribes will be found. If they were lost in the Old Covenant then is the situation completely hopeless for them? Are the lost sheep of the House of Israel to remain lost and cut off forever? From what we read in the scriptures it would appear that there is still hope. Because the grace the ten tribes went looking for and failed to get from Rehoboam in the matter of taxes and servitude in Judah is now available. This grace now comes to them from another newer covenant. It is from the same Source in YHVH, the God of Abraham, Isaac, and Jacob. But this grace is available to them in the New Covenant. And this is precisely what Jeremiah spoke of in Jeremiah 31:31-36. I will put My law in their minds, and write it on their hearts; and I will be their God, and they shall be My people. THE NEW COVENANT PICKS UP WHERE THE OLD COVENANT LEFT OFF. THEN AT THE END OF THE AGE COMES THE REGATHERING OF JACOB. GOD SEES TO THE RESTORATION OF ALL 12 TRIBES OF NATIONAL ISRAEL. If we are to believe the promises in Holy Scripture the lost sheep of the House of Israel will not remain lost forever. It seems that the connection to YHVH-God the Ten Tribes that were lost nationally under the Law are restored in a personal way under the Gospel of Grace. These people who were lost under the Old Covenant with national Israel are even now being picked up, saved as individuals, by the New Covenant that Yeshua/Jesus makes with individuals in the Gospel. (See Jer. 31:31. And so there in the New Covenant we see the mechanism of this seemingly impossible restoration of all the tribes of Israel. Notice that this New Covenant is spoken of very specifically in the Old Testament! And so at the climax of the age all Israel will be saved. They will have been saved individually, one soul at a time. But that is not the end of their salvation story. There is to be a grand and glorious epic collective national salvation of Israel beyond the personal salvation of its individuals. Each of the individuals as living stones have a place prepared for them by God in the many mansions above. There are, it seems, many dwelling places for the saints as they go up into the glory. The living stones are to be fitted together and built up into something far greater than their individual parts. All this will happen in the way that the passage below describes. to offer up spiritual sacrifices, acceptable to God by Jesus Christ. All the saints, all 12 tribes will come back together again, re-united in Messiah to become that Holy City John saw in Revelation 21, adorned as a Bride, and descending from heaven, even a single royal priesthood and a holy nation. There will be 12 tribes present at this glorious home-coming. They will be regathered and restored again as the returning Messiah does His magnificent work of deliverance at the end of the age. He will deliver His people from the jaws of the wicked, first at the siege of Armageddon and then out at Mystery Bozrah. The story of the covenant people of Abraham, Isaac, and Jacob is truly a magnificent story of redemption and salvation. The lost ten tribes will not end up in a lost oblivion. Their restoration will turn out to be a 'wonder', a word in Hebrew which means "Surprise!" THE 12 TRIBES IN THEIR LISTINGS AT THE BEGINNING IN GENESIS AND DEUTERONOMY. AND THEIR LISTING IN REVELATION CHAPTER 7. WHAT HAPPENED TO DAN AND EPHRAIM? As we read Revelation 7 we see that Twelve tribes of Israel will re-emerge after a passage through over 2700 years of history. Are they the same 12 we saw gathered before Jacob in Genesis 49 and before Moses in Deuteronomy ? It seems that in the final list given in Revelation 7 the tribe of Dan is missing. So is the tribe of Ephraim. Why? What happened to them? But there may be some clues to be found in the meaning of these names. And it may be that these tribes whilst having important roles to play in holy history here below do not deliver up for all eternity a sovereignty of grace or a holy purpose that will be needful or fitting for the perfect and sublime realms above. Dan means "Judge". And Ephraim means "Increase". There is every reason to believe that these are great nations in existence right now, even as we come up towards the end of the age. These are great hidden secrets, among many yet to unfold. But God's great mysteries will be unveiled in the Apocalypse at the end of this age. The emergence of National Israel after 2,000 years is truly amazing. And the subsequent history of Judah in the land of Israel has become very volatile in recent years, as we well know. Meanwhile the Light of Israel in the Gospel is going out to the nations and even to the ends of the earth. The history of God's covenant Congregation/Church and His Holy City Jerusalem in the nation, even the greater Commonwealth of Israel is still incomplete. God's epic sgaga of the ages, His-story has not yet come to its grand and glorious conclusion. Holy history, (or as our German friends say, Heils geschicte, (salvation history), is still up ahead. The crucible of the end time will see the refining and the regathering of both houses of Israel as one single elect and Chosen people. This will surely come to pass at the consummation of this age. THE LOST TEN TRIBES WILL BE RESTORED IN THE LATTER DAYS. The Antinomian, (read lawless or truth shunning), nominal Christian Church is a big problem here. Like wayward Gomer the Western Church refuses to face matters of righteousness. She still worships her Easter Bunnies and her Ishtar eggs on Firstfruits Resurrection day, a day that should be holy to Yehoveh-God. Our best excuse is to say is that we are too busy fulfilling the Great Commission and "fishing for men" then to worry about the minutiae or any deep, tradition bound and seemingly insurmountable problems like this. But face it we shall, in the latter half of the 70th Week, the final 3.5 years of this present age. During that future 666 regime that "fishing for men" and the worldwide Gospel outreach will be outlawed. After the fishers and the hunters come looking for those who refuse to worship the beast and have become troublemakers. Fortunately the Holy One of Israel has the seemingly hopeless situation covered. He will carry His people across the waters on wings of eagles just as He did in the days of old. Many of God's covenant people will go into exile in those days. It will be a camp meeting in which rich Biblical understanding and the guiding comforting Presence of the Holy Spirit will be there in abundant measure. For the people of Western Christendom the realization of their Hebrew spiritual roots and heritage in Christ, the promised Seed of Abraham, will surely come. For the Christians, their 'blindness in part' to their true identity in Israel will be healed. Yes, the scales will fall off Christian eyes and they will wake up to "see" their identity in Israel even as the scales fall off Jewish eyes to "see" the true identity of their Messiah in His first coming as the Suffering Servant of Isaiah 53. At the same time the scales will be falling off other eyes in the other house. Christians will awaken to their ultimate identity in Israel. The partial blindness endemic in both houses of Israel will come to an end. Through it all the Breach of Jeroboam will be healed. All Israel will be saved, restored, as a Congregation/church/synagogue and also as a Nation and "body politic" under the returning Messiah. Both houses of Israel will see their Messiah in both His offices as High Priest and King of Kings after the Order of Melchizedek. This promised restoration of all Israel seems impossible right now. But when the Refiner comes, and even in the midst of Great Tribulation all this will surely come to pass. The prophet Jeremiah spoke of this time of trial and epiphany as the time of Jacob's Trouble. Through the prophet Micah the Holy One of Israel declared that ALL of divided Jacob will be regathered as the sheep of Edomite Bozrah. The covenant people of God will be in travail as the woman of Revelation chapter 12. This evil age will come to its appointed climax precisely according to the Holy Scriptures. The House of Joseph will emerge in an epic End-Time ministry of reconciliation. And finally, the Man-Child will be born out of Israel. And Benjamin, 'son of my right hand' will come forth! 2,000 years ago a Child was born. And at the end of the story as the saints of the Most High YHVH bring in the "final witness" to their Messiah a Son will be given. Messiah Himself, through His witnesses, and in His unveiling or His Revelation will achieve this promised restoration of the Nation and Congregation of Israel, even as the end-time drama unfolds. In giving give birth to the man child the Woman will go into transition and the man-Child will be fully born into the glory, joining the Sacred Head in the Resurrection power of Messiah. And so 'all Israel will be saved'. The Jewish House of Judah will recognize their Messiah precisely as the prophet Zechariah foretold. In those coming days the fractured feuding nation of Jacob the trickster will undergo a character change and a name change to be restored as, Israel, which means "prince with God". All twelve tribes of Israel will come into their magnificent unity as one single undivided Elect even as the New Jerusalem, a city of 12 gates, descends from heaven. A Holy celestial City of many mansions awaits their pleasure. All Israel will attain full restoration and unity both spiritually and nationally. A Single Elect Company of the saints will be raised up to become that promised spiritual household, the long-awaited royal priesthood and a holy nation that Moses and the Apostle Peter both spoke about. What a Day that will be! AND HOW GOD WILL RESTORE ISRAEL AT THE END OF THE AGE. The breakup between the northern and southern kingdom is a key to our understanding of a lot of things. It was sharp and decisive when it came. It began as a bitter blood feud in the family of God. And this unhealed wound and the unconfessed national sins that underlie it all continues to fester in both companies and cause great pain and grief to this day. The squabbling goes on between Jews and Christians, generally over issues of God's Righteousness and Law on the one hand and His Mercy and Grace on the other. Both broken off holy issues still remain as sharp jagged broken pieces in the hearts, minds, and hands of the two feuding parties. These deep doctrinal matters are attended by differences of gifting and difference of temperament and this will always be a source of contention among those who do not know Messiah and put Him first in their lives. Christians and Jews have this in common. Both have been run through the Greek culture. We exercise ourselves endlessly in the failed sophistry of bare Greek logic. This is a man-centered platform for discovery without the revelation of Holy Scripture, without faith and without the surrender of one's will to God. So as we have seen, it cannot ever hope to fathom and comprehend the things of God. It cannot get to the bottom of the matter. Discernment and understanding of the deep things of God comes by revelation from God by the illumination of His Word by the Holy Spirit. It can never be expected to come from human reason or rationalism. But in our religious dialogues and arguments we try any way. But is is an exercise in futility. Because our Hellenized minds are still steeped in pagan Gnosticism. This mythology throws up a deep chasm between a perfect heaven (up there) and a down and dirty earth here below. As the Gnostic spirits set up their ideological-religious game there is a chasm that neither God nor man cannot cross. There in the gap the religious trolls do their patrols and take their tolls. Gnosticism has invaded both the Rabbinical Judaism and the Constantinian Christianity we see dominating religion in the West today. In its denial of the passage of God to men Gnosticism spawns both the secular humanism that came out of the so-called Enlightenment of the Old World and religious humanism we are now seeing emerge in the New World. Both have their set of "high priests" directing the conversation and declaring the God of Israel cannot be the Mediator between God and man. So the centuries go on and we are still endlessly and uselessly arguing the point over Law vs. Grace using Greek logic which is man-centered human reason or rationalism. But it is by its very nature putting our puny human brains on a pedestal. Rationalistic argument is by its very nature denying God His rightful place. And where is His rightful place? It is at the center of the conversation. These critically important issues of Righteousness under the Law and Salvation by Grace do have an answer. But that answer comes in the Person of the indwelling Messiah/Christ. He in the Presence of His Holy Spirit addresses and reconciles both the issues of Law/Righteousness and those of Mercy/Grace. He takes up residence in the hearts of those who love Him and know him. He sits upon the throne of their hearts, ruling in the gentle bonds of love. For those who know Him He also presides as High Priest at the altar of their heart. This He fulfills both offices. Unfortunately most Christians are unsaved without a personal walk with God. They are nominal believers. And most of our Jewish brothers and sisters have not yet found the full and proper resolution of God's Law and His Grace by recognizing the ultimate Passover Lamb. But this all happen when they surrender their self-life and turning from their self life go to meet Israel's Redeemer. They can meet Him at either the altar of sacrifice or at the cross. Either one will do, they are both the same. The Holy One of Israel is ready to come into their hearts and lives as soon as He is invited in. Every person who has been saved or ever will be saved is saved the same way. They are saved by by GRACE through faith and under the atoning blood of Israel's promised Sacrifice Lamb, even our Redeemer, Jesus Christ/Yeshua Hamashiach. And yes, by His own sacrifice on the cross He fulfilled His LAW! Let us pause for a moment and consider this. How can the demands for righteous judgment under the LAW and the nature of God in GRACE and mercy find reconciliation? How can that seemingly irreconcilable conflict resolved? This can only be achieved in Messiah in His dual office as High Priest and King of kings. And that dual anointing, yes that double anointing, comes under the Order of Melchizedek. He,and He alone can heal the breach to reunite and restore Israel. He will establish the global worldwide Commonwealth of Israel. And at the end of this age He will!